Studentized deleted residuals (or externally studentized residuals) is the deleted residual divided by its estimated standard deviation. 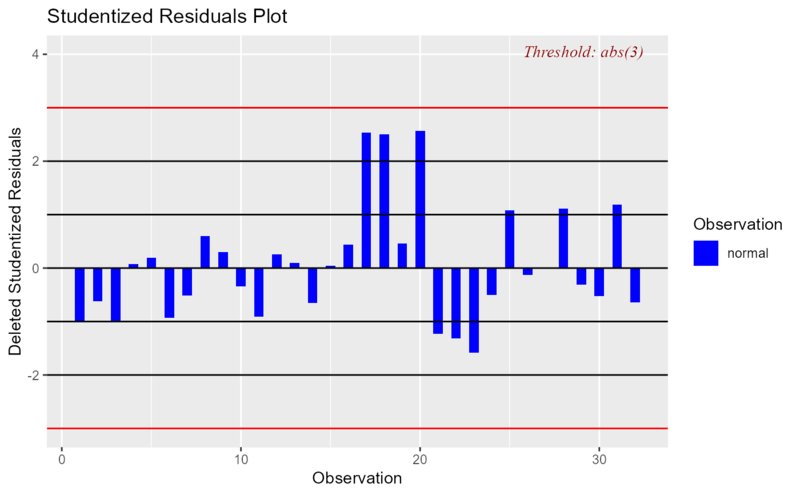 Studentized residuals are going to be more effective for detecting outlying Y observations than standardized residuals. If an observation has an externally studentized residual that is larger than 3 (in absolute value) we can call it an outlier. ols_srsd_plot() has been deprecated. Instead use ols_plot_resid_stud().